Become a published author with a royalty paying publisher! Listeners can expect to hear discussions and debates on any number of topics, commentary, lectures, sermons, testimonies, and some music (no specific style). What would you like to hear discussed on Hungry Hearts 24/7 Bible Talk Radio? 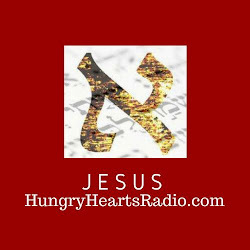 Have you added Hungry Hearts Radio to the Home-Screen of Your Mobile Device? We have an awesome station, and listeners are enjoying Hungry Hearts Radio (HHR) on phones and mobile devices during commutes and other times throughout their days. One listener keeps her phone next to her bed, and feeds her spirit good stuff, listening to HHR during times of sleeplessness. With low data usage, no special app is needed, and you never know what you might hear that will uplift you or impart some knowledge you will find helpful as you reach out to friends or loved ones. Adding HHR to home-screens of phones, makes it easy to listen and share with friends instantly via text. When is your favorite time to listen? We want to know! Tell us in the comment section below. Have you already added HHR to the home-screen of your phone? Awesome! Leave us a greeting in the comment section below.